This website contains all the current timetables for the Islands trains, trams and buses. It is operated by the Department of Tourism & Leisure with public announcements, downloads and general information for the general public. This excellent shop located in Strand Street, Douglas, are stockists of all MERS publications, many local books and much much more. Travel watch are a group that 'represent and promote the interests of Isle of Man passangers.' They take a great interest in transport on, and to the Isle of Man and hold regular meetings to discuss items of interest. The official website of the IOMSRSA, which was formed in 1966 to oversee and save the Isle of Man Steam Railway. The website contains many informative and interesting articles as well as details of the Manx Steam Railway News, the magazine of the Isle of Man Steam Railway Supporters' Association. The official website of the MTT, who are in the progress of turning a disused hanger at Jurby into a museum. The website is updated weekly with progress of the transformation and is well worth a look. 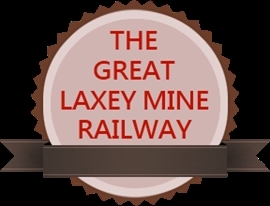 Website of the Great Lxey Mine Railway, a former industrial railway recently restored complete with passenger carrying capabilities. Enjoy the short ride over the former mine railway route between Laxey Valley Gardens and a new station adjacent to the Adit Level entrance of the one time mineral mine. A photographic website with many interesting views of the Isle of Man systems, as well as further afield.